English engineer, born on the 19th of January 1813, at Charlton, in Hertfordshire. Throughout his life he was a prolific inventor, but his name is chiefly known in connection with the Bessemer process for the manufacture of steel, by which it has been rendered famous throughout the civilized world. Though this process is now largely supplemented, and even displaced, by various rivals, at the time it was brought out it was of enormous industrial importance, since it effected a great cheapening in the price of steel, and led to that material being widely substituted for others which were inferior in almost every respect but that of cost. Bessemer's attention was drawn to the problem of steel manufacture in the course of an attempt to improve the construction of guns. Coming to the conclusion that if any advance was to be made in artillery better metal must be available, he established a small ironworks in St. Pancras, and began a series of experiments. These he carried on for two years before he evolved the essential idea of his process, which is the decarbonization of cast iron by forcing a blast of air through the mass of metal when in the molten condition. The first public announcement of the process was made at the Cheltenham meeting of the British Association in 1856, and immediately attracted considerable notice. Many metallurgists were skeptical on theoretical grounds about his results, and only became convinced when they saw that his process was really able to convert melted cast iron into malleable iron in a perfectly fluid state. But though five firms applied without delay for licenses to work under his patents, success did not at once attend his efforts; indeed, after several ironmasters had put the process to practical trial and failed to get good results, it was in danger of being thrust aside and entirely forgotten. Its author, however, instead of being discouraged by this lack of success, continued his experiments, and in two years was able to turn out a product, the quality of which was not inferior to that yielded by the older methods. But when he now tried to induce makers to take up his improved system, he met with general rebuffs, and finally was driven to undertake the exploitation of the process himself. To this end he erected steelworks in Sheffield, on ground purchased with the help of friends, and began to manufacture steel. At first the output was insignificant, but gradually the magnitude of the operations was enlarged until the competition became effective, and steel traders generally became aware that the firm of Henry Bessemer & Co. was underselling them to the extent of £20 a ton. This argument to the pocket quickly had its effect, and licenses were applied for in such numbers that, in royalties for the use of his process, Bessemer received a sum in all considerably exceeding a million sterling. Of course, patents of such obvious value did not escape criticism, and invalidity was freely urged against them on various grounds. But Bessemer was fortunate enough to maintain them intact without litigation, though he found it advisable to buy up the rights of one patentee, while in another case he was freed from anxiety by the patent being allowed to lapse in 1859 through non-payment of fees. At the outset he had found great difficulty in making steel by his process -- in his first licenses to the trade iron alone was mentioned. Experiments he made with South Wales iron were failures because the product was devoid of malleability; Mr. Goransson, a Swedish ironmaster, using the purer charcoal pig iron of that country, was the first to make good steel by the process, and even he was successful only after many attempts. 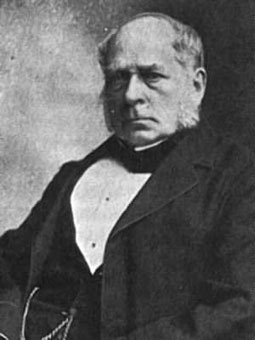 His results prompted Bessemer to try the purer iron obtained from Cumberland hematite, but even with this he did not meet with much success, until Robert Mushet showed that the addition of a certain quantity of spiegeleisen had the effect of removing the difficulties. Whether or not Mushet's patents could have been sustained, the value of his procedure was shown by its general adoption in conjunction with the Bessemer method of conversion. At the same time it is only fair to say that whatever may have been the conveniences of Mushet's plan, it was not absolutely essential; this Bessemer proved in 1865, by exhibiting a series of samples of steel made by his own process alone. The pecuniary rewards of Bessemer's great invention came to him with comparative quickness; but it was not until 1879 that the Royal Society admitted him as a fellow and the government honored him with a knighthood. Bessemer died at Denmark Hill, London, on the 15th of March 1898. Among Bessemer's numerous other inventions, not one of which attained a tithe of the success or importance of the steel process, were movable dies for embossed stamps, a gold paint, sugar machinery, and a ship which was to save her passengers from the miseries of mal de mer. This last had her saloon mounted in such a way as to be free to swing relatively to the boat herself, and the idea was that this saloon should always be maintained steady and level, no matter how rough the sea. For this purpose hydraulic mechanism of Bessemer's design was arranged under the control of an attendant, whose duty it was to keep watch on a spirit-level, and counteract by proper manipulation of the apparatus any deviation from the horizontal that might manifest itself on the floor of the saloon owing to the rolling of the vessel. A boat, called the Bessemer, was built on this plan in 1875 and put on the cross-Channel service to Calais, but the mechanism of the swinging saloon was not found effective in practice and was ultimately removed. An Autobiography was published in 1905.